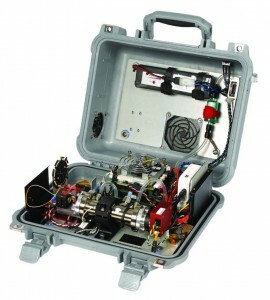 The new Microportable Gas Analyser (µGA), distributed by Australian environmental technology company Ecotech Pty Ltd, accurately and rapidly measures methane, carbon dioxide and water vapour simultaneously in a crush-proof, briefcase-sized package to accurately record your data anywhere, anytime. 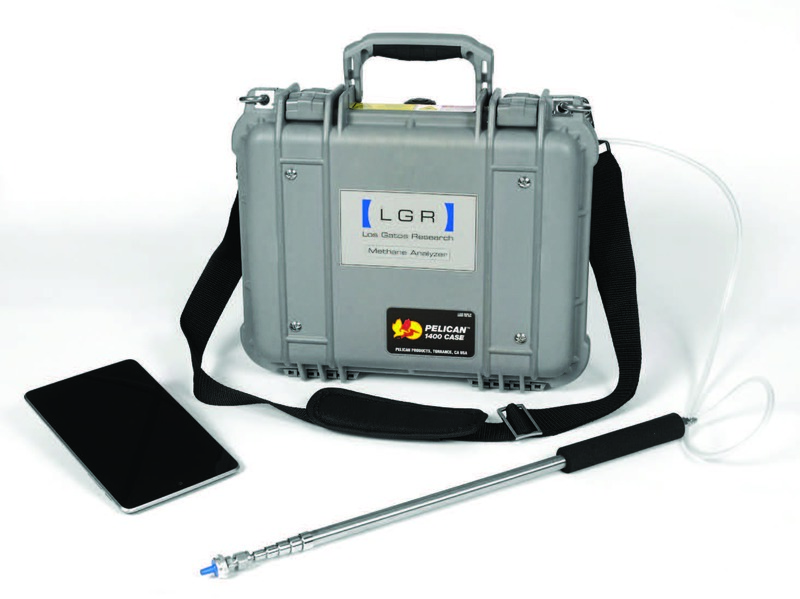 The lightweight instrument developed by Los Gatos Research (LGR) adheres to aircraft on-board luggage requirements, weighs less than six kilograms, comes with an in-built four-hour battery and is ideally suited for portability and rapid field deployment in applications such as gas leak detection. Wherever methane, carbon dioxide and water vapour measurements are needed quickly and with sensitivity, the µGA provides simple-to-use technology that can be used for a variety of in-field studies, compliance monitoring, air quality studies and soil flux studies as well as emissions monitoring. The µGA offers a range of options for accurate methane measurements at levels up to 1% mole fraction (without dilution) without reducing precision and sensitivity at ambient levels – a unique capability. It also boasts reliable guaranteed measurements at mole fractions greater than 10,000 times ambient levels. The heightened precision of measurement data is due to the µGA’s continual self-calibration, helping mitigate any variations in temperature or vibrations in the field and stabilizing itself against the everyday effects of the real world. With such reliable data straight from the source, the µGA means you can bring the lab into the field like never before with unparalleled results. The benefits of the µGA aren’t just limited to its portability and reliable data collection. The monitoring system will also provide significant cost savings without compromising the quality of data thanks to its rugged design and user-friendly maintenance. “A mobile monitoring solution can be set up anywhere, anytime and at a fraction of the cost of what was previously possible” said Con Argiratos, Sales Executive at Ecotech. The system can be serviced by the user under field conditions, saving valuable time and money. “The self-maintenance by the user is just another major advantage of the microportable gas analyser,” Con explains. “It means you can clean the instrument optics as needed in the field, enabling the instrument to always operate to specifications”. It’s a far cry from other instruments which must be returned to the factory for comparable service work – at significant financial cost and loss of valuable research time. The µGA is equipped with an internal computer (Linux OS) that can store data practically indefinitely on a hard disk drive and send real time data to an iPhone, iPad, Android Tablet, or other WiFi device. By connecting the µGA to a GPS system the user can also record their position and ultimately publish their data to Google Earth. Con is adamant the µGA’s portability and unparalleled monitoring will make it a must-have in laboratories across Australia. “This technology is taking us into a new area of research that wasn’t previously possible,” Con explains. “You used to have to modify a vehicle almost beyond recognition – It was easy to spend upwards of $100,000 to create essentially a moving lab that was built around your gas analyser equipment. Con is also confident the µGA is ideal for unmanned aerial data collection. “Taking this technology to the skies is absolutely the next step – using drones will add another dimension to our clients’ research.” The new Microportable Gas Analyser (µGA), distributed by Australian environmental technology company Ecotech Pty Ltd, accurately and rapidly measures methane, carbon dioxide and water vapour simultaneously in a crush-proof, briefcase-sized package to accurately record your data anywhere, anytime.